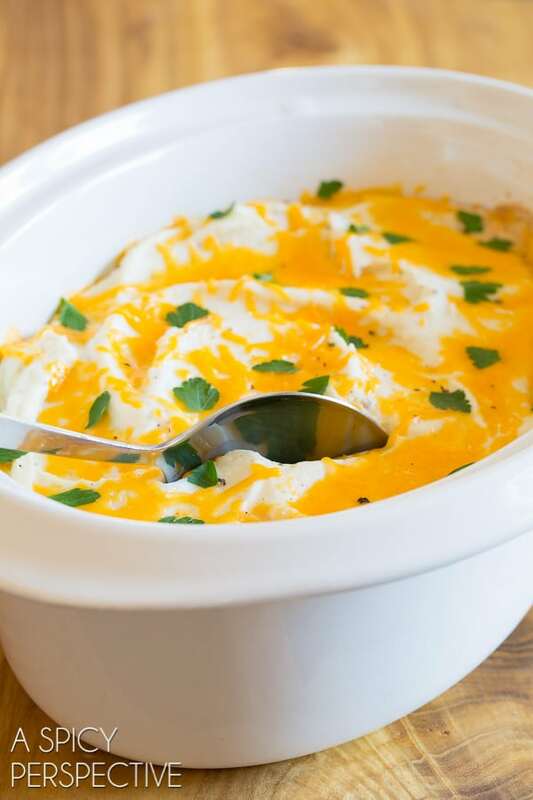 Rich savory shepherds pie in the crockpot! Today’s Slow Cooker Shepherds Pie Recipe offers all the comfort of a classic shepherd pie recipe, yet can simmer all day while you are working away. To me, Saint Patrick’s Day signifies the beginning of spring. Here in the Blue Ridge, we usually see fresh green buds making their first appearance around that time… and I’ve worn short sleeves at least a time or two by March 17th as well. Even though these are small accomplishments (if they can be called accomplishments at all) I always feel I have extra cause to celebrate on Saint Paddy’s Day. Lt. Dan and I have a standing lunch date on Saint Patrick’s Day at a local Irish Pub. We’ve held our lunch date tradition for close to 20 years. We nibble on corned beef and cabbage and laugh about Saint Paddy’s Day memories from the past. Then we come home and cook a hearty Irish inspired dinner for the whole family. Shepherds Pie is a classic Irish dish I can never get enough of. I’ll admit, the traditional cooking method can seem daunting, because there are numerous steps and ingredients. 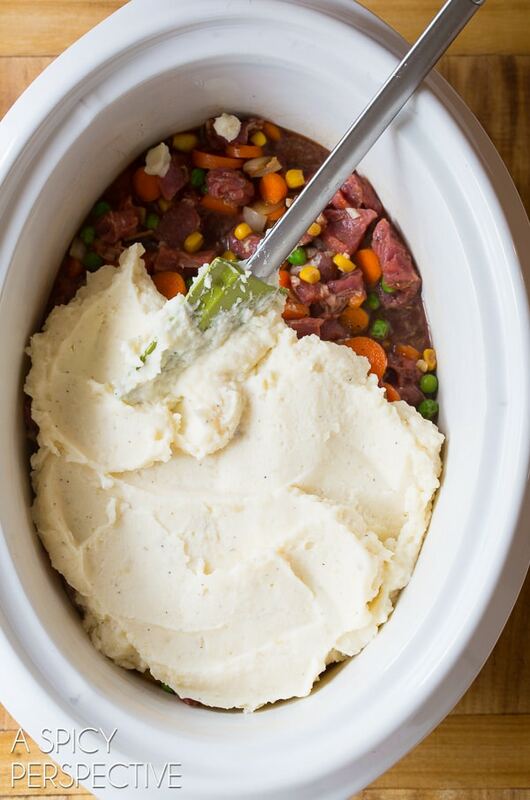 However, our Slow Cooker Shepherds Pie Recipe cuts out quite a few steps, letting you “set and forget” dinner until much later in the day. 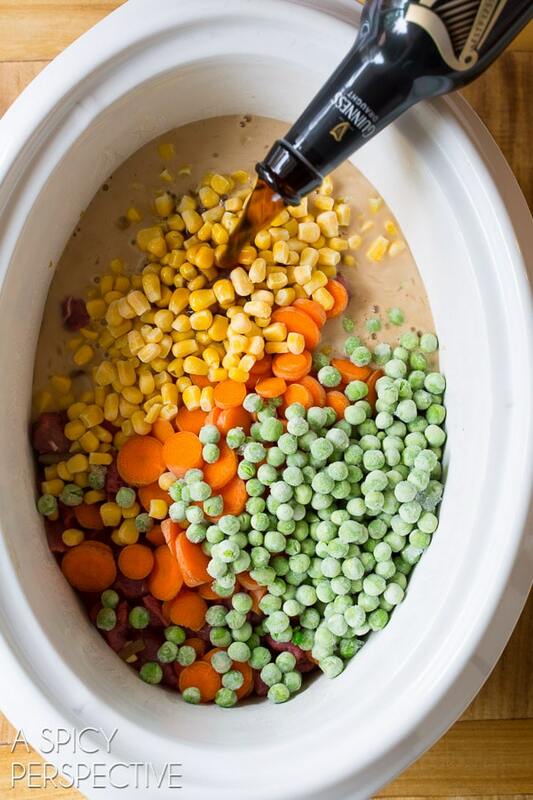 When making Slow Cooker Shepherds Pie Recipe, I combine all the “stew” ingredients in a crockpot. Substituting dark robust Guinness Beer for the wine or broth in most recipes, provides rich depth and Irish appeal. I top the stew with pre-made mashed potatoes. Usually I reserve some mashed potatoes from a meal earlier in the week, so I don’t have to make them before layering the shepherds pie. Yet in a pinch, good quality store-bought mashed potatoes will do the trick. The most important step in this Slow Cooker Shepherds Pie Recipe is to place a long sheet of paper towel over the slow cooker before covering with the lid. The paper towel absorbs most of the condensation from the lid and keeps the potatoes from getting runny. When we’re ready to eat, I sprinkle sharp cheddar or Dubliner cheese over the top of the potatoes, and let it melt. 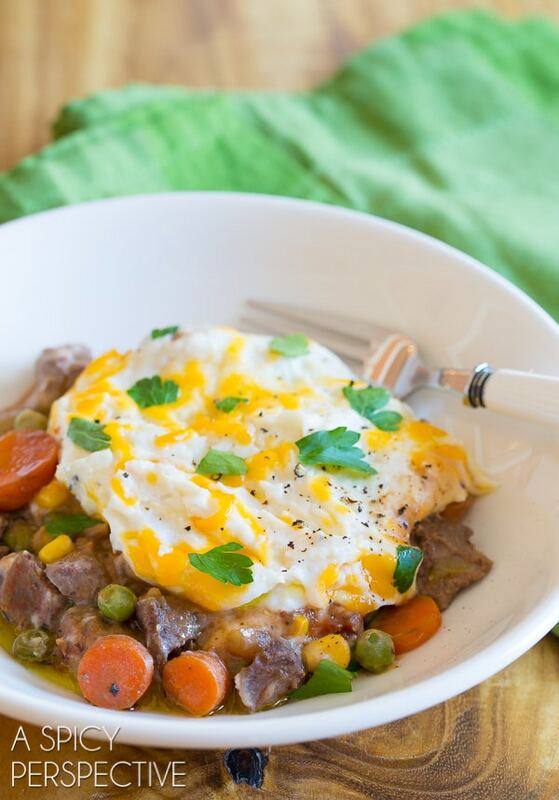 Each hearty spoonful of our Slow Cooker Shepherds Pie Recipe is pure Irish bliss! 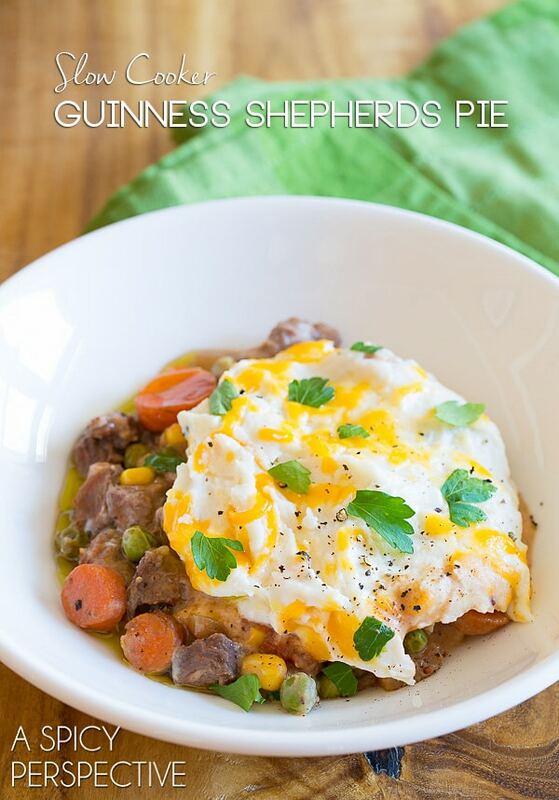 Our Slow Cooker Shepherds Pie Recipe with Guinness is perfect to serve on Saint Patrick’s Day this year. I’d bet after trying it once, it will become a new tradition in your family! Easy Slow Cooker Shepherds Pie Recipe! This savory Shepherd’s Pie Recipe allows you to “set and forget” dinner while you are at work. Place the chopped onions in a non-stick skillet over medium heat. Soften for 5-6 minutes. Meanwhile cut the beef into small bite-size pieces. Pour the hot onions, beef, and all remaining ingredients, excluding the mashed potatoes and cheese, into a 6 quart slow cooker. Season with 1 teaspoon salt and 1/4 teaspoon pepper, and stir well. 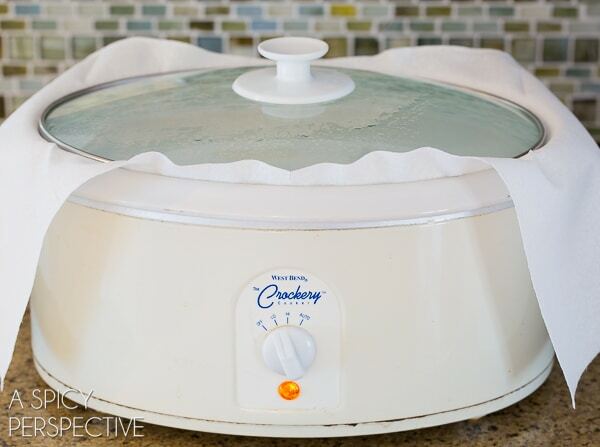 Wipe down the sides of the slow cooker with a dry paper towel. Then spread the mashed potatoes over the top of the beef mixture all the way to the edges of the crock to seal in the ingredients below. Place a long piece of paper towel over the slow cooker to absorb the steam, and cover with the lid. Turn on high for 4-5 hours, or low for 8-10 hours. When ready to serve, sprinkle the cheese over the top of the potatoes and place the lid back on for 5 minutes to melt the cheese. Serve hot and garnish with extra herbs if you have them. This isn’t shepherds pie – Shepherd = Sheep, shepherds pie should be made with lamb, not beef. Never seen corn or peas in shepherds pie either! What on Earth is corn doing in a shepherd’s pie?! This was so yummy! Forgot to buy peas and didn’t put corn in it. Instead, I used almost a full package of white mushrooms, sliced. These didn’t make the recipe too watery, as I feared. Husband raved about the dish. It was awesome! Thanks!! 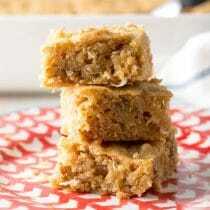 Delicious recipe shared by you dear, it’s a must try one. I followed this recipe to the letter. Although the taste was fantastic, and everyone loved it, the mashed potatoes kind of got absorbed somewhat in the stew below. I would try Josh’s suggestion of adding the potatoes later, or even finishing the stew in the slow cooker, then putting it in an oven dish with the mash on top to brown on broil and add the Dubliner (great touch, everyone loved that!) at the end. Thanks for a great recipe, Sommer! Pingback: 30 Amazing Slow Cooker Dinners PLUS 5 Slow Cooker Dessert Recipes! Just found this recipe… A little confused do you actually just put the small beef chunks in the crackpot without cooking them first? Hi Patty! I do it that way… If it looks long enough it will soften regardless. Happy Cooking! should I mix all the ingredients or layer them in the order specified? Thank you Sommer. That is what I ended up doing and your recipe was a huge hit with our family. I actually ended up adding the mashed potatoes only once the rest of the recipe was finished and it still turned out wonderful, in case anyone else is thinking of doing the same. Can i use ground beef instead of stew meat for this recipe and can i put the ground beef in the slow cooker raw and mix with the rest of the ingredients? Would you adjust the cook time for low? Hi Liz, I wouldn’t go with ground beef… it would clump while cooking because usually no one is around to stir while slow cooking. Small chunks of beef work much better. I just made this crock pot recipe and it came out terrible for some reason, it burned like crazy I did 8-10 hours on low and there was not enough liquid. I did 2lbs of meat I don’t know if that was an issue? Hi Grace – Oh no! So sorry about that! Hmmm… I wonder if your slow cooker runs a little on the hot side. (They all vary. I have three slow cookers and try to base recipes on the most moderate.) Have you noticed other dishes cooking faster than suggested? 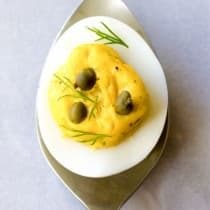 Has anyone tried this with cauliflower mash? I made this over the weekend, and I did use cauli mash — it worked well! The cauliflower mash even browned on the sides. Thanks for sharing! This is my kind of comfort food, especially the ease of cooking it in the slow cooker! Thanks for posting this with plenty of reaction time before 3/17. I’m betting we’re wearing either flip-flops or Sorels on St Pat’s this year. No in-between. That’s the kind of winter we’re having. This looks so yummy! I am craving this now! This is SO great! Can’t wait to give it a try. 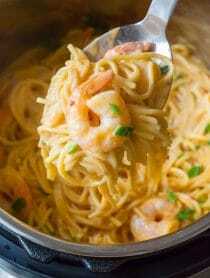 You took a fantastic classic comfort food recipe and made it super easy! I LOVE this! 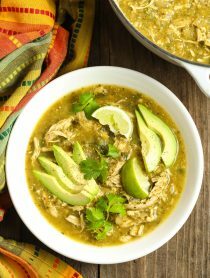 What size slow cooker are you using for this recipe? I need to make as much as possible without overloading my slow cooker. Thank you! Shepherd pie is one of my all time favorite comfort food. And the slow cooker is my very good friend. 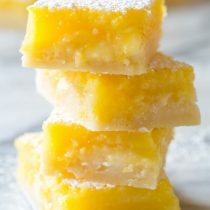 This is a wonderful recipe. My slow cooker lid screws on (it doubles as a pressure cooker), how would I utilize the paper towel? Hi Katie! Hmmm…. I’ve never seen one like that! Does it have to screw on, or could you just set the lid loosely on top? You could probably lay the paper towel over the slow cooker, then place a baking sheet over the top if needed. Thanks for getting back to me! I’ll try that, I also might try screwing it on with the paper towel in place as instructed. Excited to try this, sounds great!! Slow Cookers are the best! This looks delish! ! 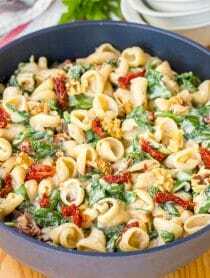 Comfort food made easy – yes, please! Holy cow Sommer- major comfort food!! 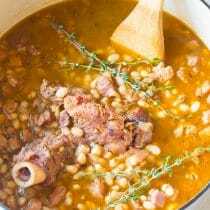 I am all over this slow cooker version! Wow, I love this way to make shepherd’s pie!! This is definitely an easy and beautiful way to make Shepherd’s Pie. I love it. Yum! 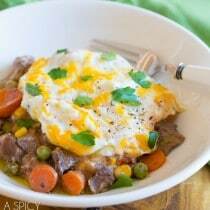 love this take on shepherds pie! So much to love here! The slow cooker method and adding that paper towel is genius! And I’m really loving the addition of Guinness, yum! YUM! How lovely! I love the paper towel tip and they way you can make this dish look SO gorgeous on a plate. Loooving this Sommer! Great idea in the slow cooker! !